Arkham House, 1998; 486 pp. ; limited to 3,579 copies. First Edition. In the years following H.P. Lovecraft s premature death in 1937, many of his friends and admirers were moved to write down their personal impressions of the man. These reminiscences appeared mainly in obscure amateur journals or in such early Arkham House volumes as Marginalia and Something About Cats. Peter Cannon, author of the critical and biographical study of H.P. Lovecraft (1989), has now gathered in one large volume all the major shorter memoirs, as well as a selection of early criticism and some rare contemporary glimpses from the amateur press before Lovecraft made his mark in Weird Tales. Here are such classic tributes as Winfield Townley Scott's "His Own Most Fantastic Creation" and W. Paul Cook's complete "In Memoriam," together with more recent accounts such as Kenneth Sterling's "Caverns Measureless to Man" and Mara Kirk Hart's fascinating portrait of the Kalem Club as revealed through the letters of her father. 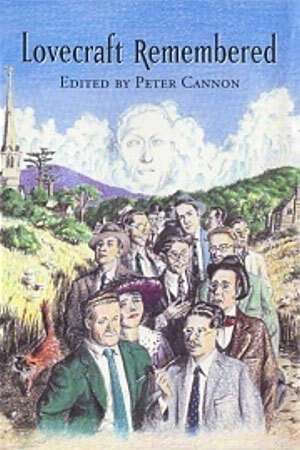 Divided into seven sections: Neighbors, Amateurs, Kalems, Ladies, Professionals, Fans, Critics, and illustrated throughout with vintage photographs, Lovecraft Remembered brings the master fantasist alive in the words of those who knew him best, from his former wife, Sonia Davis, to his closest friend, Frank Belknap Long.